The luxurious natural soap with oak flakes cleanses thoroughly and enfolds a relaxing massage effect on the skin. Various herbs, poppy and aetheric oils add a warm scent of a sunny summer garden to the soap and add an extra portion of moisture. Helps revitalize demanded hands and the skin is gifted with a smoothed image. The triple-ground and cold-stirred soaps of Heyland & Whittle are made with high-quality, organic palm-, coconut- and olive oil. Equipped with glycerin – which is known for its smoothing and moisturizing effect – flatters the natural soap of the skin and develops a perfectly scenting foam. 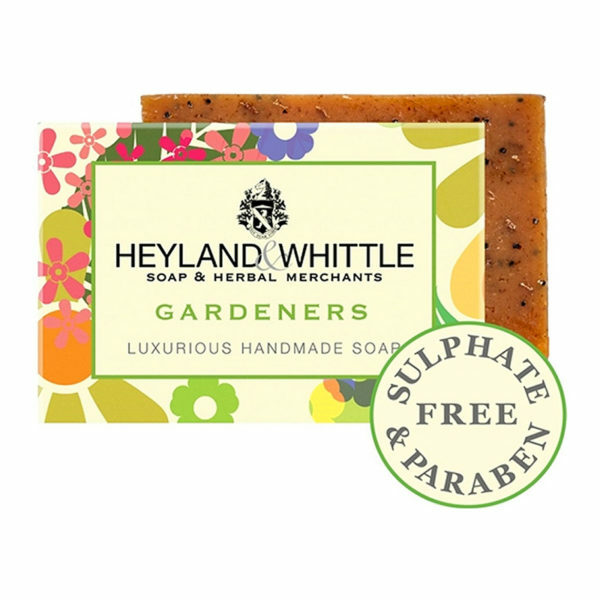 Heyland & Whittle only uses natural colors such as madder root, walnut leaves, stinging nettle leaves and curcuma. Free of any parabens and sulfates. 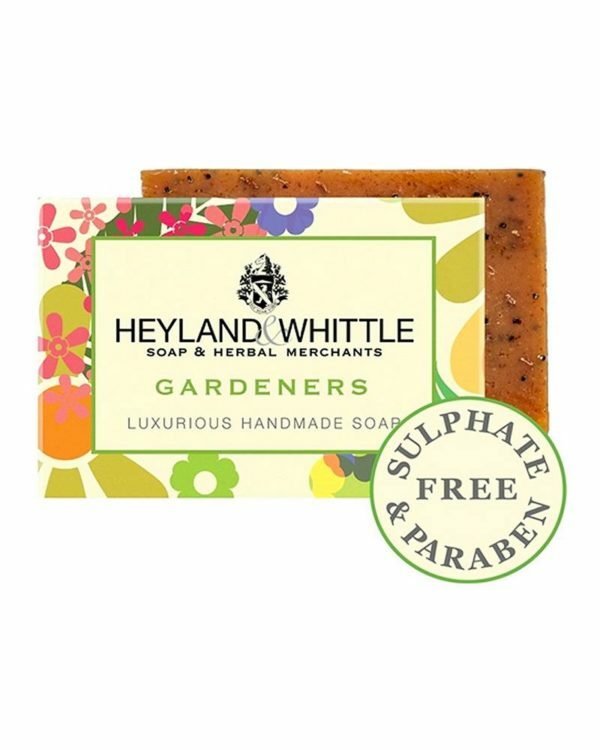 A broad selection of aetheric oils, herbs and spices which open their delicate scent notes for Heyland & Whittle. Hidden in the Gardeners Soap is the soft breeze of a summer garden, underlined by a harmonic mixture of spices, poppy and aetheric oils.